Residents will get a rare chance to look at some of Charlotte Anna Lefroy’s work. 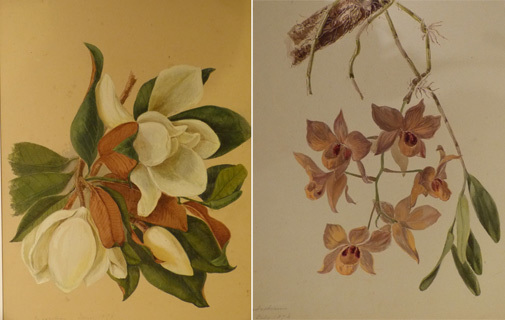 The ACE Gallery is displaying Celebrating Bermuda’s Colours: Bermuda Botanicals 1871 – 1877. It is the first time they have been showcased since they were created in the 1870s. In celebration of the 2013 Heritage Month theme, The Colours, Sights and Sounds of Bermuda, the ACE Gallery and the Bermuda National Trust have partnered to allow the general public to enjoy these works of art. Celebrating Bermuda’s Colours features a selection of botanical paintings and drawings taken from an album by Charlotte Anna Lefroy which was completed while she was in Bermuda with her husband, Major-General John Henry Lefroy, who was Governor from 1871 – 1877.